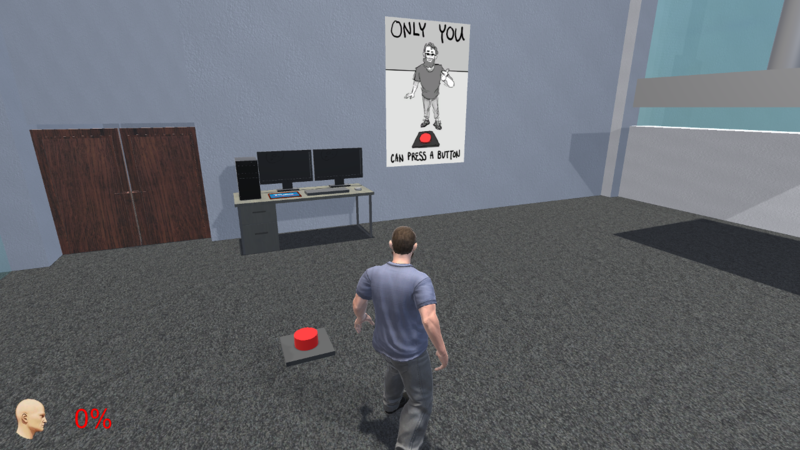 Office Loser is a third-person action puzzle game where the player needs to find creative ways of injuring himself in the office to get compensation. 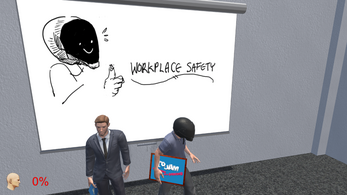 Every time he succeeds in doing so, his boss adds safety measures to the workplace to prevent the same accident from happening again. 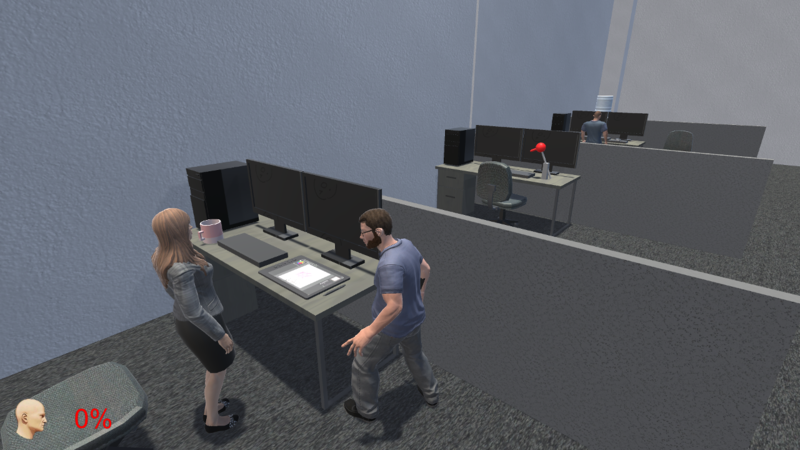 As the game progresses, the player will have to carefully study his environment and coworkers to continue to find harmful solutions and get paid. Your job is to press a button to activate a press machine that crushes objects. While working there, your coworkers are always mean to you and one is even a drinking bird! You realize that you do not have to be very smart to do this job but your boss keeps taunting you with sarcastic compliments. To everyone, you are the office loser. Tired of the boss looking down on you and the mean coworkers you have to deal with, you come up with a plan to get back at the company by purposely finding ways to injure yourself to get compensation. Who's the loser now? This is an action puzzle game. 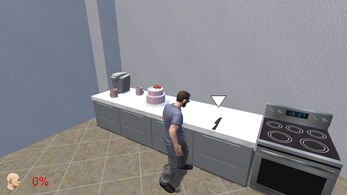 The player has to move around the room and try to figure out ways to inflict 100% damage to themselves. Players can pick up and throw things around the room, break things, annoy coworkers and press buttons. There are 7 ways to injure yourself in the game, can you find them all?